After spending a long weekend in the sunny beach, you want to have all the cheerful moments. You want to bring happy memories and also souvenirs. One thing that you certainly don’t want is pale looking skin that gets blistered and painful. When the skin is exposed to too much ultraviolet radiations or some artificial sources such as lamps, lights etc, there are higher chances of sunburn to appear. It can also be avoided by taking some preventions. But, if not taken care, it could lead to some serious conditions like skin damage or a form of cancer called melanoma. According to a survey, one in five adolescents and one in eight adults got sunburn when they were outdoors in the summer weekend. 42% of people also get sunburn once in a year. It is necessary to have treatment for sunburn as a large number of people are not paying any attention to it. It is a marker of exposure to harmful ultraviolet radiations. Its history is also associated with melanoma cancer. The major cause of sunburn is ultraviolet radiations. It is an acute skin inflammation following overexposure to the UV radiations. Some characteristics include redness, oedema, tenderness to the touch etc. It is influenced by a variety of factors like age, skin type, skin hydration. Some environmental factors include altitude, time of the day etc. According to the theory, the body protects itself from the radiations by accelerating the production of melanin which is the pigment that provides skin with its normal color. Melanin only prevents the body from certain amount of ultraviolet radiations but if the body is continuously exposed to the harmful radiations, there are higher risks of skin burn. When skin is exposed for too long to UV rays, first it becomes red and then blisters start forming on the skin. The person could also get a headache and fever. 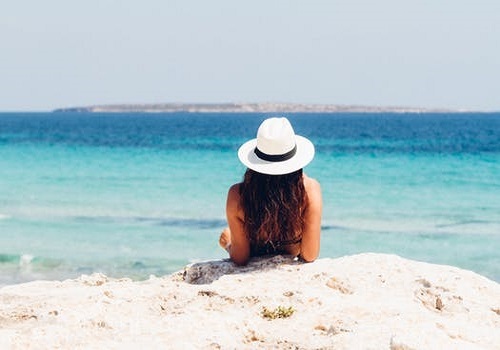 It is not necessary that sunburn only occurs when the sun is shining, sometimes UV light can cause skin burn without shining of the sun as well. Tanning is a process where skin gets dark due to being exposed to sun’s rays. It is your body’s response to being injured by the UV radiations. It is necessary to avoid being tanned as it increases the risk of several skin problems. There are various cases of sunburn that vary severely. In case of extreme sunburn, it is recommended to get medical help. You should consult the doctor if you develop blisters, or redness in a large area of your body, accompanied by fever and headache. Once the skin is burnt, effort should be made to soothe the affected area with proper aids. If you see any signs of sunburn, the first thing that you must do is get out of the area where your body is exposed to sun’s rays. Cooling: One of the quickest ways to relieve the skin from the sunburn is cooling it. It soothes the skin and makes it comfortable immediately. This can be done by placing damp towels on the affected area or taking a cold shower. Moisturizing the area could also help the body get relief from the effects of sunburn. Just be aware of what are the ingredients in the moisturizer and they do not harm you in any way. Pain relief: There are some pain relief medications that can be taken in order to get relief from the painful burns due to being overexposed to UV radiations. Medicines cut down the swelling and redness caused by the sunburn. Keep hydrated: Sometimes, water plays a major role in helping the body to fight against harmful UV radiations. Therefore, it is necessary to keep yourself hydrated by drinking more water and having food items that have a large amount of water proportions in them. Protect Healing skin: It is necessary to protect your skin when it is healing. Avoid further sun exposure by either staying out of the sun or protecting the body from the sun. Take more rest indoors instead of going out. It is necessary to take all the precautions to protect the healing skin.